I admit it, I tend to get impatient with recipes that seem to have an endless list of ingredients or steps. If I read through a recipe and my eyes glaze over, I will close the book and go find something else to do instead of baking or cooking. Unfortunately, this means there's a great deal of good foods out there, that I simply refuse to bother with. I used to think I was merely impatient, but as I've spent more time in the kitchen, I've learned that sometimes, really, recipes are needlessly complicated. 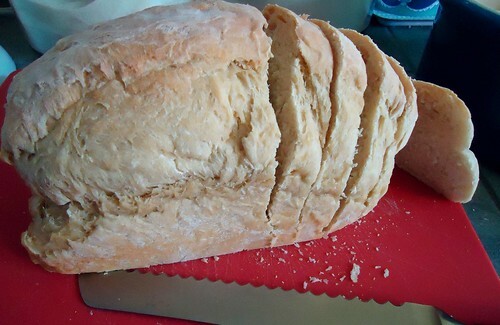 Rip thick bread into large pieces and place on bottom of the baking dish. 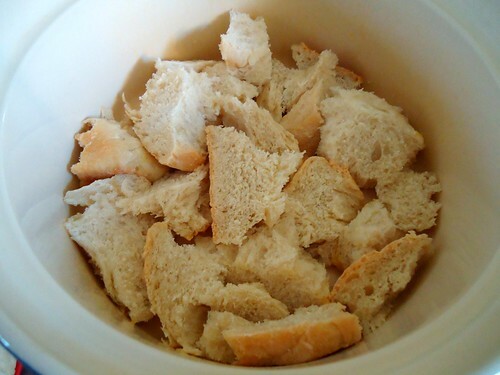 Do not leave spaces between pieces of bread. 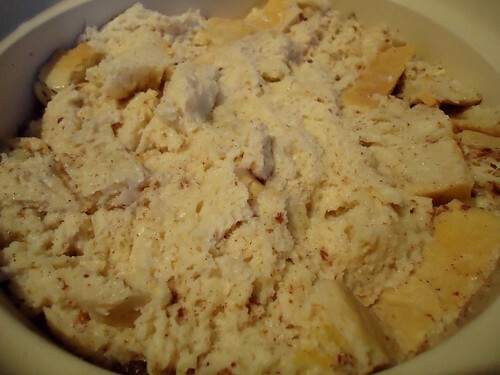 Cut butter into pats and place butter on bread layer. 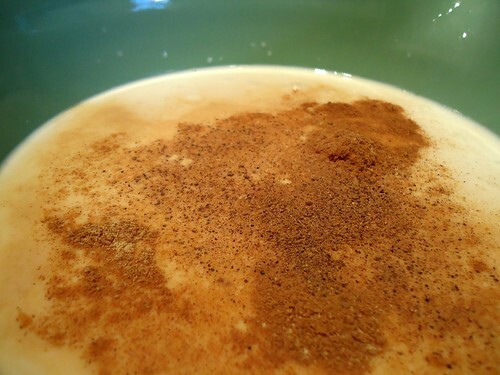 Pour milk and egg mixture over the bread and butter layers and submerge completely, pressing down as needed. 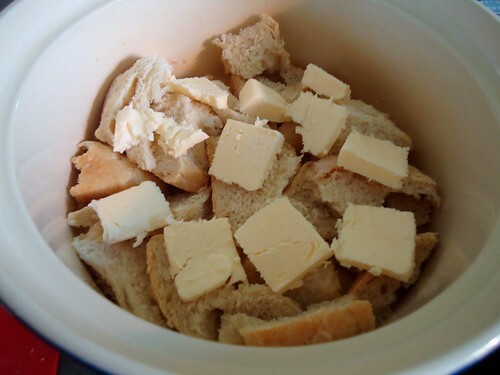 Add more pieces of bread and more pats of butter and finish with a layer of bread. (I had about 2-3 layers.) 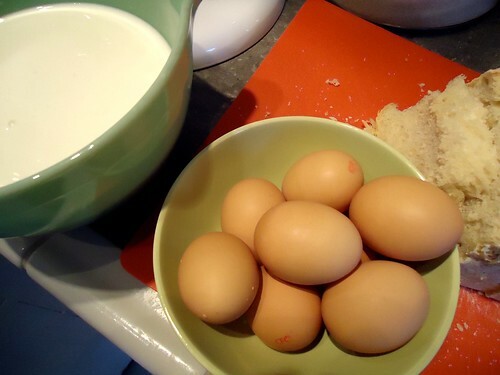 Press to submerge all bread into milk and egg mixture. Cover and let stand ten minutes. 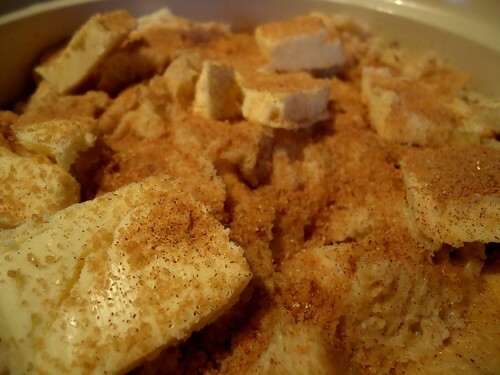 After ten minutes, add more pats of butter and sprinkle the top with some sugar and cinnamon. Bake uncovered for 30 minutes, then cover and bake for an additional 30 minutes. Serve hot. 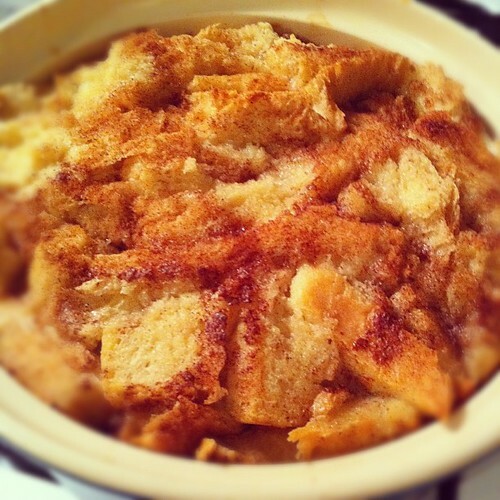 This bread pudding simply put, hit the spot. I made my first batch on one of those days that felt like socks feel when the seam is on the wrong side. 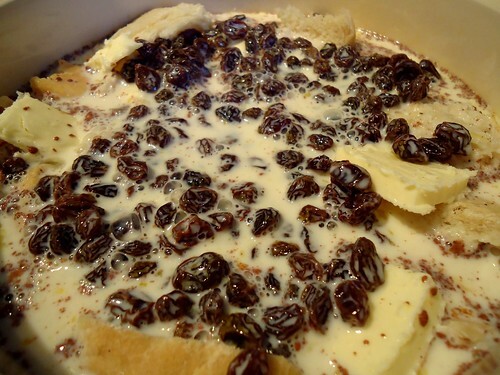 The sweetness of the raisins, the aroma of the spices and bread baking, the nourishing richness of bread, milk and eggs in one dish, the steam coming off the bowl--all of it provided comfort. 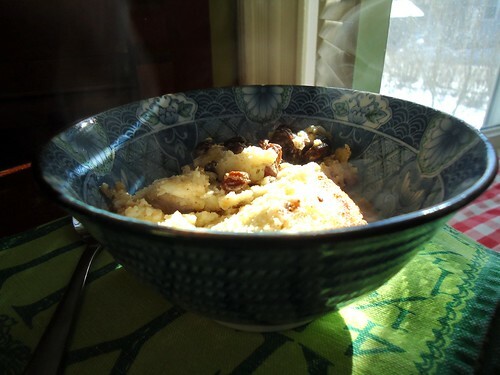 It reminded me of my mother's kitchen and it healed hurts and straightened seams for my family. 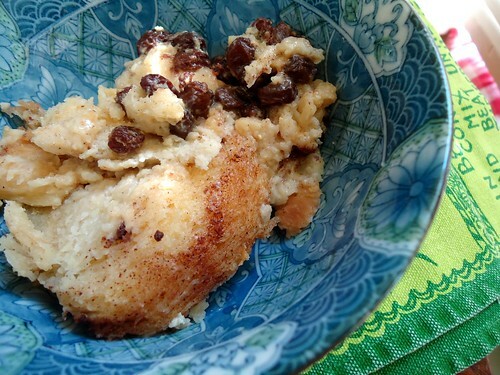 We ate bowls of comfort and our spirits were nourished by this simple bread pudding. I hope it also brings comfort to your table.